Scholars such as Julian Corbett and Henry Newbolt are famous for their great achievements in the field of naval history of the First World War, but except for Paul H. Halpern's A Naval History of World War and Ian Nish's Alliance in Decline, only a few studies of the First World War history in English have paid attention to the Japanese role, especially of the naval actions in the Mediterranean. Even the work of Halpern, which presents in full detail the naval history in World War, makes only a few refrences to the Japanese naval activities in the Mediterranean. This paper deals with the Second Special Squadron which was despatched to the Mediterranean. The object is to examine what the Japanese Navy did in the Mediterranean and how their activities were assessed, why the Japanese Navy hesitated to send large ships(Battleships and Battle Cruisers) to the European waters and why destroyers were applied in the Mediterranean, and to consider what they accomplished in diplomatic terms. These incoherent and conflicting approaches by the British created strong arguments and deep distrust within the Japanese Navy that the British had limited Japanese naval activities in the China Sea at the beginning of the war. The Navy Minister Yashiro relayed his negative opinion to the Foreign Minister that if main forces were despatched to the European waters, the Navy could not secure national defence against “the second enemy〔the United State Navy〕." Secondly Japan would lose diplomatic power if she lost her main battleships. Thirdly, the Navy Minister was concerned about the enormous costs for overseas campaign. There was no further request for Mediterranean aid until December 1916. But after the Battle of Jutland, German naval efforts concentrated more and more on submarine warfare. From this change of German naval operation by December, Allied ships were being lost at the rate of 300.000 tons per month. Due to this serious situation, the British Admiralty submitted a request to Japan to send two light cruisers from the Sixth Squadron stationed at Singapore, to the Cape of Hope and flotillas of destroyers to the Mediterranean.(32). Upon receiving this request from the Admiralty, Grey instructed Greene to sound out the Japanese Government. Greene visited the Foreign Minister Motono Ichiro on 11th and Minister of the Navy, Admiral Kato Tomosaburo on 15th January 1917, and he inquired if Japan could despatch cruisers to the Cape of Hope and destroyers to the Mediterranean. 1.The “Tsushima" and the “Niitaka" to be sent to the Cape of Good Hope. Admiral, to be sent to the Mediterranean. British Naval Forces, but to act in co-operation with him or at his request. (No.4, 5, 6, 7 conditions are omitted). By the end of April 1918, the losses of shipping again became severe, and the British Navy asked for Japan twelve more destroyers. Then on 1st May, Ambassador Greene handed Minister Motono a confidential private letter stating that a large number of ships were being lost by the Germany's unrestricted submarine campaign. Therefore, the British needed as much Japanese naval assistance as possible in European waters. (36) In addition, on 5 May, the King and Queen invited the Japanese Ambassador and his wife to Windsor Castle, where King George V asked for more destroyers to be sent the Mediterranean. Furthermore, on 13th May, Greene again asked Motono for further assistance. (37) However, because of lack of big destroyers, the Japanese Navy expressed unwillingness to despatch twelve destroyers. Instead, the Japanese Government decided to send four newly constructed “Momo" class 850 ton destroyers at the 23rd of May Cabinet meeting, in the expectation that Britain would supply the materials required for the construction of substitute destroyers. Motono also added that Japan could not send any more destroyers, due to the lack of appropriate ocean type destroyers. (38) On 25 June, the Fifteenth Flotilla left Japan and arrived in Malta in August 1917. The Second Special Squadron arrived in the Mediterranean at the height of the submarine crisis in 1917. They escorted troopships from Alexandria to Marseilles, from Alexandria to Taranto, and from Malta to Salonica. The total numbers of escorts reached 348 times and escorted vessels totalled 788, carrying about 70.000 soldiers plus 7075 persons rescued from attacked vessels. (47) The Japanese Navy spent 72 percent of their time at sea compared with 60 percent by the British and about 45 percent by the French and Italian Navy. (48) The number of working days reached 26 days per month and its operation distance reached 6,000 nautical miles in a month. “People who study our situation at home might come to the conclusion that we are not all badly off for anti-submarine forces. That the total produced by Great Britain, France, Italy, Japan, Greece and U.S. are formidable enough. All this is, however illusory. Italy's share, except in certain narrow circumstances is infinitesimal. Bar the protection of traffic creeping round her shores, and the protection is of a poor standard, Italy will offer nothing towards any sort of the anti-submarine warfare we like to wage, defensive or offensive. If she did, her Navy is so inefficient that her assistance would be of little value. France has not a large number of efficient craft for anti-submarine purposes, and though the French are eager to do all they can, they are on the whole incapable of runing a sound naval campaign. Their organization is not practical, and they somehow think on unsound lines, and no sooner do you imagine you've roped them in to a concentrated effort, than off they go diffusing their forces in every possible way. The Japanese are of course splendid, but their numbers are small. The efficient Greek ships are so few that they may be left out of the calculation. At present we have no sea-going American forces in the Mediterranean. They all work from Gibraltar out into the Atlantic." Why did Japan accept despatching destroyers to the Mediterranean？ Prime Minister Terauchi Takeshi explained to Rear Admiral Sato the reason for the decision when Sato visited the Prime Minister upon his departure. (59) the Prime Minister told him that the reason was not just to fulfil Japan's duty under the Anglo-Japanese Alliance, nor to meet the demand of Britain. He said, we accepted firstly, if Germany continues to use such violent operations, as a major power of the world, it is our duty and responsibility to take strong measure against Germany in the name of justice and humanity. Secondly, our Allies are in great danger, suffering from German submarines. We cannot ignore this situation by any means. It is our duty to save the Allies. If we let them die without our making any attempt to save our Allies, we will lose not only our interests which we have gained, but will also suffer the great pain of defeat. We cannot just sit back and watch this situation. We have therefore decided to despatch the squadron under your command. I cannot give you a large number of ships now as the Navy is short of suitable destroyers, but I hope you will do your best to show the honour, and to expand the influence of our country." But, Prime Minister Terauchi's explanation was one sided and only a surface reason. There were complex reasons why Japan accepted despatching naval forces to Europe and why the Japanese Navy had been reluctant to do so. These exaggerations which blamed Japan for selfish pursuit of her own national interests, were one of the reason why despatch vessels were applied in the Mediterranean. After Japan obtained Tsing Tao and the German owned Pacific Islands, she was satisfied to wait the fruits of war, only supplying Russia with weapons and ammunitions and obtaining Russian gold. Moreover, Japan gained profit by exporting her goods to markets which had previously been those of the British and other Allies. Japan endeavoured to moderate the anti-Japanese feeling aroused among the Allies. After arriving in the Mediterranean, the activities of the Second Special Squadron was often given favourable reports in newspapers. For example, the Times reported in headline of Japan's “Speedy arrival and seamanlike handling," Good seamanship and greatest rapidity of action". (64) The Japanese Naval Attache for Italy also spoke to an American pressman that during the month of operation that the Japanese Navy had sunk 15 German submarines in cooperation with the American Navy. (65) These reports might have helped to depress the anti-Japanese feeling which arose among the Allies. Then at the Peace Conference, the clause for abolishing racial discrimination was rejected because of opposition from Australia, a British dominions. The unfavourable Japanese naval ratio compelled by an apparent conspiracy by the U.S. and British at the Washington and London conference, the fortification of Singapore immediately after the cancellation of the Alliance developed portrayed an image of “ungrateful Britain" to the Japanese people. (73) The reason for these aggravated anti-British feelings is explained by the Japanese Navy, as follows(74). and protection of its dominions after it concentrated its fleets in the North　Sea. eventually to all-out suppression of Japanese trade." (1)No.91, Appendix 1(Received on 2nd night in August), Gaimusho(The Ministry of Foreign　Affairs),eds., Nihon Gaiko Bunsho(Documents on Japanese Foreign Affairs)--Taisho　Sannen,vol.3(Hereafter cited as No. NGB3-3)(Hara-Shobo,1966), p.95, Doc.3〔35666〕, Ann Trotter, ed., British Documents on Foreign Affairs:Reports and Papers from the Foreign Office Confidential Print, Series E. Asia, 1914-1939, Part, Vol, Japan, August 1914-1915, hereafter cited as Doc. BDFA -1(Washington:University Publications of America, 1991), p.1. (3)Doc.5〔36531〕Grey to Greene(4 August 1914) BDFA -1, No.95(4 August 1914), NGB3-3, p.99,〔 〕 means original document number of the British Public Office. (4)No.91, Appendix 2(Received 3 August), NGB3-3, p.96.Doc.2.〔35865〕Grey to Greene(3 August 1914), BDAF -1, p.1. (5)No.101(7 August 1914), No.104(Inoue to Kato 7 August)NGB3-3, pp.102-105, Doc〔37530〕 Barclay to Grey(8 August 1914), FO(Documents of Public Record Office London),371-2016. (6)No.110(9 August 1914), No.112, NGB3-3, pp.111-113. (7)No.114(10 August 1914), Ibid., pp.116-117, Doc.28〔37691〕,Grey to Greene, BDFA -1, p.12. (8)No.120 and No.122(11 August 1914)NGB3-3, pp.120-121,122-123, Doc.40〔38600〕, Memorandum Communicated by the Japanese Ambassador(11 August 1914), BDFA-1, p.17. (9)No.127 Aide Memooire(12 August 1914),NGB3-3, pp.126-127, Doc.124〔38600〕Grey toGreene(11 August 1914), p.17. (10)No.140(13 August 1914), No.143(14 August 1914),NGB3-3, pp.130-131, p136. (11)No.155(15 August 1914), NGB3-3, pp.146-147, Doc.55〔38494〕Grey to Greene(13 August　1914), BDAF -1, p.24. (12)Kaigun-Gunreibu〔Naval General Staff〕ed.,Taisho Sannen itaru Yonen Kaigun-Senshi 〔Naval History of 1914-15〕(Kaigun-Gunreibu, 1920),vol.�T, p.69, hereafter cited as　Kaigun-senshi 1914-15(�T). (15)No.604. No.605(3 September 1914), NGB3-3, p.631-632. (16)No.612, No.613, No.614(9 September 1914), Ibid., pp.635-637. (17)No.619 Appendix 2(4 November 1914), Ibid., p.641. (18)No.621 Appendix 1 and 2(14 November 1914), Ibid., pp.647-651. (19)No.624(15 November 1914), Ibid, pp.655-656. (20)No.628(18 November 1914), Ibid., p.658. (21)No.630(25 November 1914), Ibid., pp.659-660. (22)Adide for Naval Minister, ed., Rengo sakusen-kosho-tuzuri〔File for Allied Negotiation　for Cooperation〕, National Institute for Defence Studies. (23)No.121(13 January 1915), NGB4-3-Jokan(hereafter cited Jo), p.235. (24)Doc.125〔20396〕, Admiralty to Foreign Office(2 February 1916), BDFA -2, p.113. (26)Doc.129〔24943〕, Admiralty to Foreign Office(8 February 1916), BDFA -2, p.116. (27)No.318, Inoue to Ishii(9 February 1916), NGB5-3, p.382-383. (28)No.319, Inoue to Ishii(10 February 1916), Ibid, p.382. (29)No.321, Ishii to Inoue(19 February 1916), Ibid., p.385. (31)Gunreibu eds., Taisho Yonen-Kunen Kaigun Senshi〔Naval History 1915-18〕,vol.�T, hereafter cited as Sankunen Senshi, pp.25-29. (32)Doc.212〔256472〕, Admiralty to Foreign Office(19 December 1916),BDFA -2, p.176. (Secret Naval History 1915-1920 Supplement, hereafter cited as Kimitu Senshi Hoi, pp.23-30. (34)No.97, Memorandum(2 February 1917), NGB6-3, pp.99-100. (35)San-kunen Senshi(�U), Ibid., pp.288-313, Kino Shuichiro, Nihon Kaigun　Chichukai Enseiki〔The Japanese Navy's Expedition to the Mediterranean〕(Hara Shobo,1974), pp.320-333. (36)Doc〔88517〕, Admiralty to Foreign Office(30 April 1917)FO.371-2950. (37)No.106, Chinda to Motono(7 May 1917), No.108, Greene to Motono(13 May 1917) NGB6-3., pp.110-111, 113-114. (38)No.110, Motono to Greene(25 May 1917), Ibid,., p.113-116. (39)Yon Kunen Senshi(1), Ibid., pp.100-101. (40)No.114, Chinda to Motono(21 June 1917), NGB6-3., p.122-123. (43)Telegram No.4(23 February 1918), No.19(9 June 1918), from Rear Admiral Sato, Daini Tokumu-kantai Hatsuden Tuzuri〔Telegraph File of the Second Special Squadron〕,National Institute for Defence Studies. (44)No.47, Matui to Uchida(20 September 1918), No.48, Ish in to Uchida(3 October 1918),NGB7-3, pp.90-91. (45)Telegraph from Vice Navy Minister to Admiral Sato(1 March, 20 June 1918), Telegram File Second Special Squadron,National Institute for Defence Studies. (46)Ian Nish, Alliance in Decline:A Study in Anglo-Japanese Relations 1908-23(London;Athlone Press, 1972), p.227. (48)Henry Newbolt, History of the Great War:Naval Operation(London:Longman's Green and　Co.,1931), vol.V, pp.83-84. (49)DaiNi Tokumu Kantai〔Second Special Squadron〕eds.,Enseiki〔Expedition Records〕 (Daini Tokumu Kantai, 1919), p.316. (51)No.106, Chinda to Motono(7 May 1917),NGB6-3, pp.110-111. (52)The Royal Navy in the Mediterranean, op,cit.,p.279. Flow-The Royal Navy in Fisher Era,1904-1919(London:Oxford University Press, 1970), p.37. (58)Paul,G.Halpern, A History of World War(Annapolis:Naval Institute Press,1994), p.393. 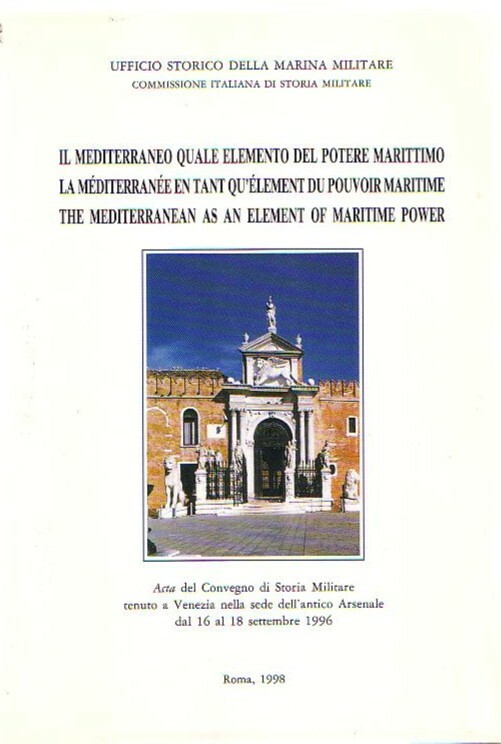 the Imperial Navy in the Mediterranean during the World War〕(Naval Academy, 1994),pp.20-21. (60)Doc〔46022〕, Rymer to Admiralty, “War at Japan 1914-191-"(11 March 1918), FO.371/3233, XC3347, pp.122, Public Record Office,London. (61)Doc〔148769〕, Japanese General Foreign Policy(22 October 1918), FO.371/3816 XC3509. (64)Enseiki, Ibid., p.46, Henry Newbolt, History of the Great War:Naval Operations　(Longmans, Green and Co.1920), vol. , p.457. (66)No.653, Appendix 3(1 December 1914), NGB4-3-Ge, pp.677. (67)No.32, Motono to Ishii(31 August 1915), NGB4-3 Jo, p.31-32. (68)No.102, Appendix(20 March 1917), NGB6-3, pp.103-106. (70)Refer, San-Kunen Senshi(�T), pp.285-348, Enseiki,Ibid., pp.109-166. National Institute for Defence Studies, p.36. (73)Ito Masanori,Soutei Tekikoku〔Hypothesis Enemy〕(Sasaki-Shutupan-Bu,1926), pp.296-297. (74)Imperial Intelligence Division,“Why anti-British feeling becomes strong in Japan," Kubo　tatumasa,ed.,Showa Shakai Keizai Shi〔History of Social-Economical Showa Period) (Daito Bunka Kenkyuusho, 1989),Vol.V., pp.133.